Have you ever dreaded something happening, but kind of wished it would? I was driving to the airport. I had a plane to catch. I’d fixed my car. It would be good for the drive to the airport. . .I hoped. The problem was the thermostat. Well, the lack of one. Or rather, the need for the lack of one. I really hoped that removing the thermostat had solved my overheating problem. the only way to tell, was to take it out on the freeway and test it. Unfortunately, while I had done some short test drives, I hadn’t had the chance to do a longer test drive. And now it was time to go to the airport. I have not failed. I have found 10,000 things that don’t work. I have not failed 10,000 times. I have not failed once. I have succeeded in proving that those 10,000 ways will not work. When I have eliminated the ways that will not work, I will find the way that will work. I have discovered 10,000 ways not to make a light bulb. The point was that he kept trying until he’d figured it out. He knew there was an answer and that if he just kept at it long enough, he’d find it. I wonder if Edison ever tried to fix his car? The point is that you can’t figure out what’s not wrong with a car. You can only attempt to figure out what is wrong with a car. You often do this by eliminating things until you figure out what’s wrong. You figure out how not to fix your car. Hopefully, you don’t have to try 10,000 things. I’m not even sure that there are 10,000 ways not to fix a car. The drive started well enough. Without a thermostat the car actually ran a little cool. After about 20 minutes I pulled over to check my engine. There was some anti-freeze overflowing the overflow tank. But. . .but. . .it still might be okay. I mean, the overflow tank was over full when I started. And the temperature gauge was still in the good range. I was probably okay. At the 30 minute mark, I hit a bump. It must have been a bump. The temperature gauge flibbered. (Yeah, it’s a real word.) But, I can keep going, it’s not like it’s . . .wait. . .it’s still going up. But, maybe I can. . .no, no, no! Get off the freeway! Get off right now! 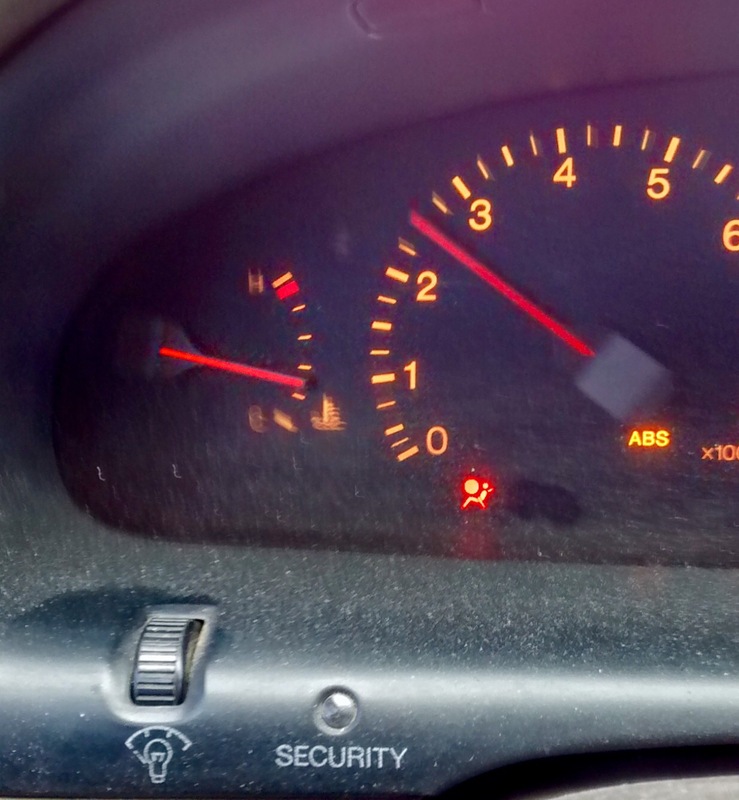 The gauge spiked into the red. You can’t drive with your temperature gauge in the red. Not even for a little while. I limped my car into a parking lot. I smiled at my predicament. And then I chuckled. And then I laughed. Well, that’s a relief. One more way not to build a light bulb. Now what? Well, I’m a better Boy Scout than I a mechanic. While I hoped my repair worked, I, of course, was prepared for the fact it might not. I opened the hood to see more antifreeze all around the overflow tank. That seemed way too aptly named. I dumped a two liter bottle of water over my engine. This is not normally a good idea. I was in a bit of a hurry. My newest radiator cap had a pressure release valve. As I lifted it up, it bubbled into the overflow tank. I added three quarts of antifreeze and my car started up with the temperature needle safely in middle. I was only 15 minutes from the airport, so I made it safely to the long term parking. I was really hoping that I’d discovered how to make a light bulb this time. But, I would have settled for my watched pot not boiling. Now I just have to figure out how to get home on Thursday. Looks like your drive home will have a couple cooling pit stops along the way, perhaps where you can pick up some more antifreeze. Yeah, I’m getting about 35 miles to the gallon of coolant. Still have about 3/4 of a gallon in the car.